Science Project _ Which paper towel is a better absorbent? Which paper towel is a better absorbent? 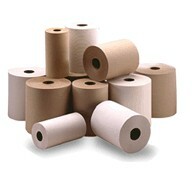 Manufacturers of different paper towels usually claim that their product absorbs more water. There are different paper towels in the market in different price ranges. We are wondering which paper towel is really the best absorbent. Does it have any thing to do with price? Are there any visual indications that may help us to identify the best paper towel ability to absorb water? In this project you will perform experiments to compare different paper towels for their ability to absorb water.